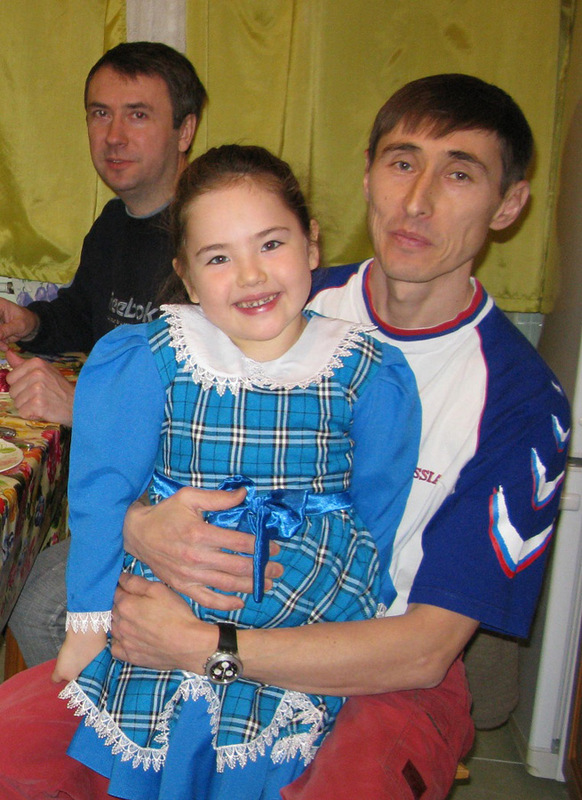 7 February 2011 Zalia Rakhmetova was 6 years old. She’s doing well. She returned to her kindergarten, to her old friends, the children are very kind with her. She’s walking, she’s dancing. She doesn’t like her new artificial hand (prosthesis), it is a little bigger then she needs, and blocks elbow motion, so if she plays more then 30 minutes she prefers to take it off on the sly. But the doctors recommend to get it on 30 minutes per day (minimum) not to cause of curvature of the spine. She uses her left limb while playing and is pressing the toys to her body, it is noticeable that her left shoulder becomes upper. 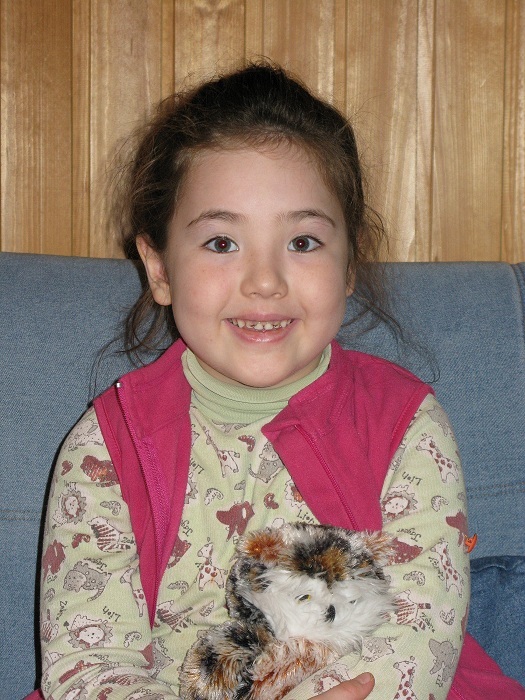 We are going to book another prosthesis for her which put on as stocking on a forearm and doesn’t block the movement. 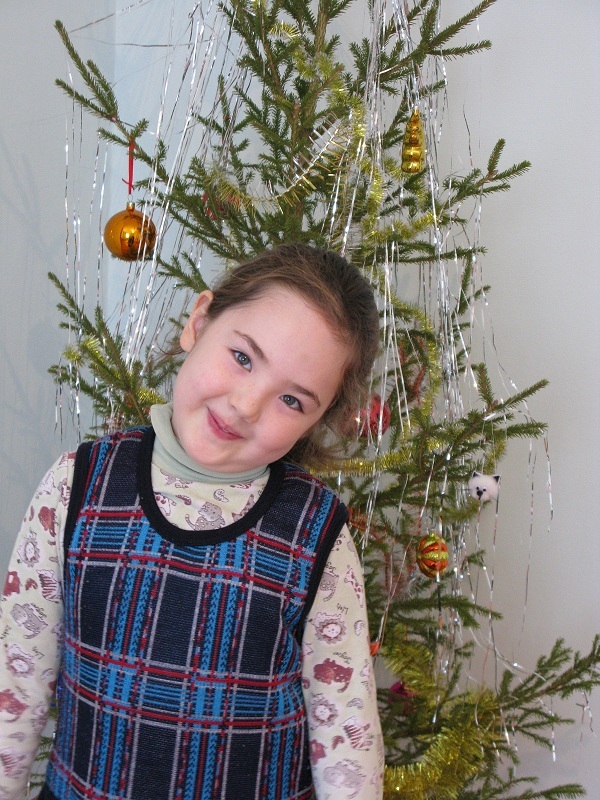 She started practicing a karate at her kindergarten twice a week, it is mostly gymnastic, no sparring, Zalia doesn't like that and she asks always: “Why we are not fighting?!”. She got used to do what she likes and she doesn’t like the kindergarten’s routine and discipline. Once a week she’s deal with speech therapist. She will be back to hospital in March. The speech therapists, psychologists and masseurs will take care of her for a month or more. I’m very greatfull to all of you who helped us, supported us, were thinking about us... Sorry that I’m not frequently with our news. I try not to rake over old ashes though it is not possible to forget.